Yesterday I went on a day trip to the towns of Bevagna, Montefalco and Spello. Our first stop was in the beautiful walled town of Bevagna. 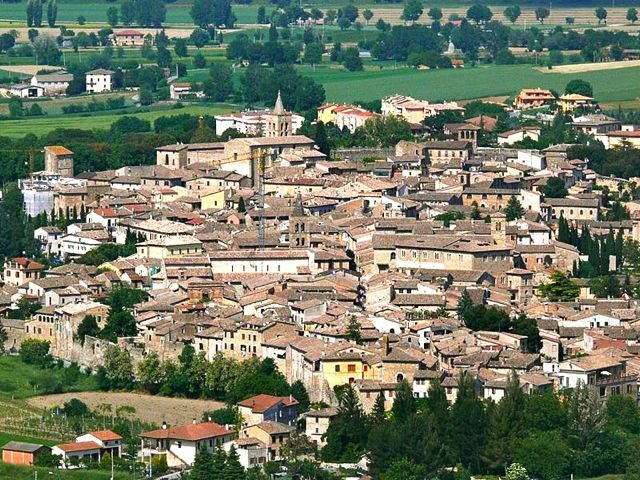 Unusually for a town in Umbria, it is built on low ground in the original Roman position on the route of the via Flaminia. To compensate for the lack of hill top position, Bevagna has an impressive wall with several gates. 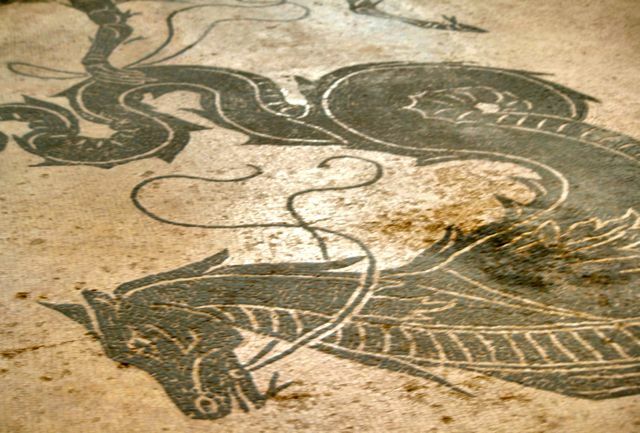 Our first stop was at the Roman mosaics, once the floor of the Roman baths and beautifully decorated with images of tritons, seahorses, octopi, dolphins and lobsters. On a previous visit I had had to go to the town museum to find someone to take us there, yesterday, the mosaics were open without having to go this process. There are pieces of Roman Bevagna built into the newer medieval buildings, near the baths you can clearly see the columns of a Roman building incorporated into the side of a newer building. what is labelled as the Roman amphitheater on a map, unless I am mistaken, now appears to be a maze of narrow streets. 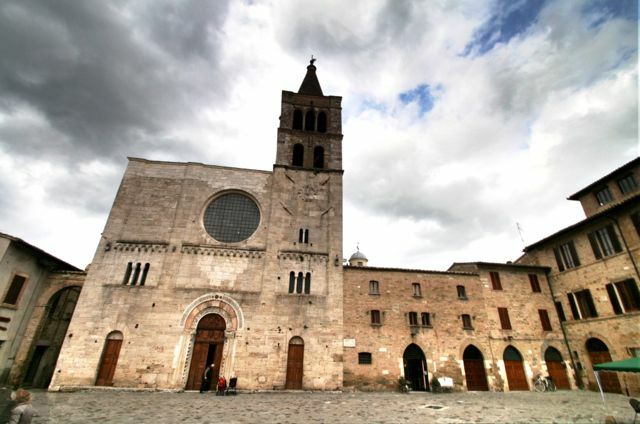 Next, we wandered down to the main piazza where two impressive Romanesque churches face the medieval town hall. The overall effect is very pleasing to the eye, it would be worth coming to Bevagna just to stand here.